We just recently launched our new re-souL shoe collection for women. It’s a big step for us to launch our own brand and yet to us, it seems like a natural progression. Over the past 12 years in our shop, we are honored to have met countless customers and friends and we have a pretty good feel for their look and their style. Recently, in our travels to the marketplace and to trade shows, we have these customers in mind and it just felt like their needs are not being met by the usual brands. So it makes sense to us, with our background in shoe design, to take it to the next level and design our own collection. Our shoes are very much styled after specific people that we know and love. Everyday basics, stylish and comfortable, they are up-to-date and available in colors because that’s what she wants to see. For the next few weeks we will regularly feature a shoe from the new re-souL collection. We’ll portray a personality of someone we know that inspired the design of the shoe. The Misha shoe is most definitely inspired by our friend Misha. She is the designer/wizard behind Turquoise Creative, a design studio that sells fine paper art and stationery. This petite powerhouse is the friendliest extrovert you will ever meet. When she’s not designing, Misha can be found working on “the house” with her husband Ben, running after her two young sons or enjoying the urban life with her eclectic mix of friends. Her taste is definitely feminine and she never leaves home without mascara or anything less than a one inch heel. She loves a perfect French croissant, clear sunny skies and spring flowers. Misha always prefers a dress instead of pants, her style is vivid and her wardrobe is filled with colorful scarfs and very special accessories. Her namesake shoe was designed for the fashionable gal who is never afraid to be too dressed up, regardless of the occassion. We have a new collection in the shop here at re-souL, Walk by Anat Dahari. 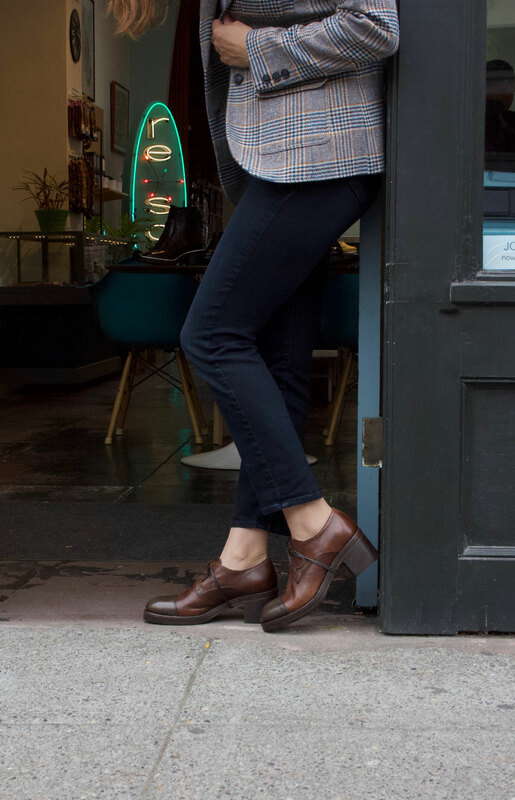 Founded in 2011, Walk is the perfect combination of modern minimalism, artisan manufacturing and comfort all in one beautifully designed women’s shoe collection. Sketching pattern onto shoe last. Anat working in her studio. Walk shoes are designed primarily for the basic act of walking, hence the name WALK. Anat’s purpose was to create simplified footwear for comfort and softness. Great care is taken in the choice of materials, the manufacturing as well as the packaging. “I uphold a loyalty to the materials, using the simplicity and rawness of the distressed leather to guide the design process.”, says Dahari. Anat was trained as an architect and is an alumn of the Bezalel Academy of Art and Design. After completing her studies she decided to study shoe-making with local artisan craftsmen in Tel Aviv. She found her passion for making shoes. She began designing shoes in the pursuit of working in a hands-on manner with materials. Her designs marry her minimalist style with functionality. She views each shoe as a special object and you can see her architectural influence in each style that she designs. All the shoes are designed and handcrafted in a workshop in Tel Aviv, Isreal. You can find Walk by Anat Dahari at resoul.com. Each Wednesday we’ll answer the ongoing question: “What do I wear with these?” It’s a question we get quite often here at the shop and we love giving suggestions when helping our customers. This week we feature the Kupuri “Serraje” sandal. Happy Wednesday everybody! Today we are featuring this gorgeous dress sandal by Kupuri. 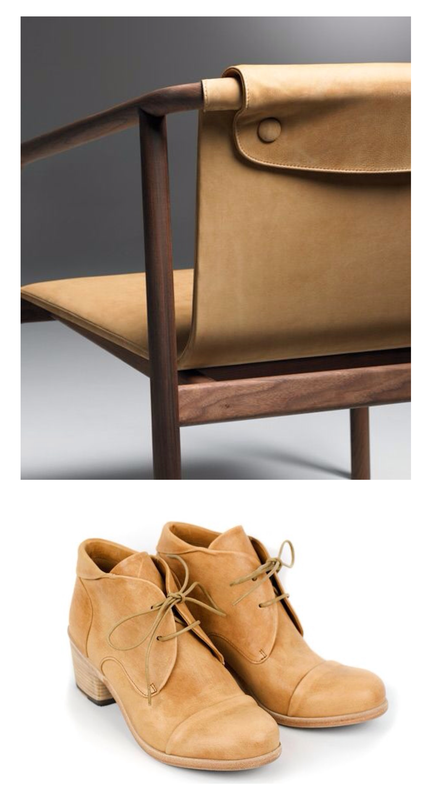 We love the architectural elements of copper, wood and leather suede. Metallics have grown in popularity as of late on the runways and in home interiors. We like them because they are very neutral and can be worn with anything. Whether you are dressing for day or evening, pair these sandals with your black staples such as a simple skirt or slouchy black pants for an extra punch to your over all black. Complete the look by adding some copper, rose gold or wood accessories to your outfit. > Kupuri sandals in copper leather with black suede, made in Spain. Last Saturday night we had a party to celebrate the launch of our new shoe brand; re-souL! It was a fun evening of munchies, bubbly, lively conversation and of course shoes! A special thanks to Pete’s Perfect Toffee, Portalis and Bastille for catering our event! A most sincere thank you to everyone who came to the party to help us launch this new endeavor. We could not do it without you and we are so grateful for your continued support! Things that seem like they should not go together, yet somehow they do. 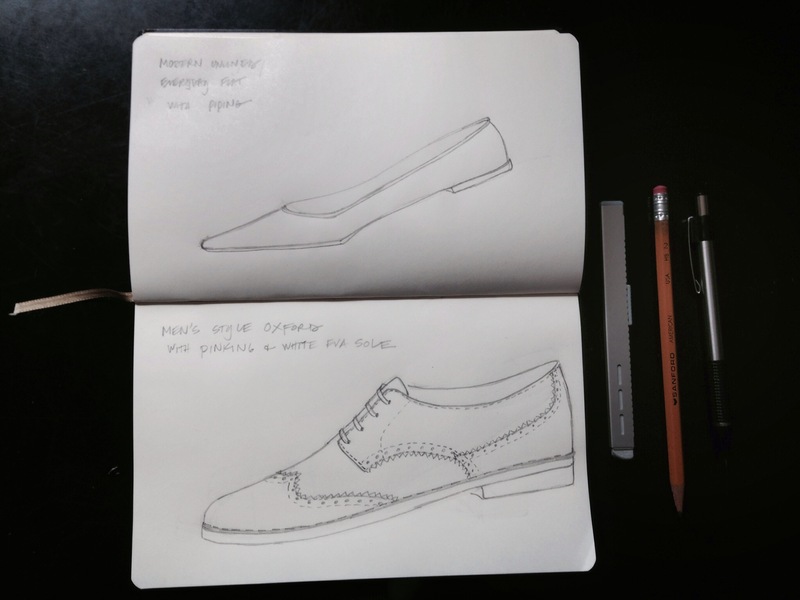 Back in July of last year, we had the idea of “what if we designed our own women’s shoe collection?” It was a question that became the answer to our initial dilemma. How do we remain relevant, novel and exciting in a constant changing global marketplace? As a small business, if we want to continue to grow (let alone survive) we have to be willing to change and creating our own shoe collection just seemed like a natural progression. So we set forth on this journey and we’re ready to share our story. In our shop, we constantly felt there was a void in our offering for seasonal “must have” styles of shoes. I wanted to create a capsule collection for Spring that would help fill in some of those missing items that our customers were always asking for; like the perfect ballet flat, the essential lace-up oxford, an everyday sandal. You get the picture. So I started to do some research, collaborate more with our customers and ultimately started to sketch. A couple of drawings in my sketchbook. I will admit it had been a long time since I sketched a shoe. Too long. My first couple of attempts were less than stellar. But as I continued to keep drawing, it started to come back to me and I remembered what is was like to create patterns, soles, and toe shapes. I really enjoyed using my sketchbook again and was inspired to keep drawing. 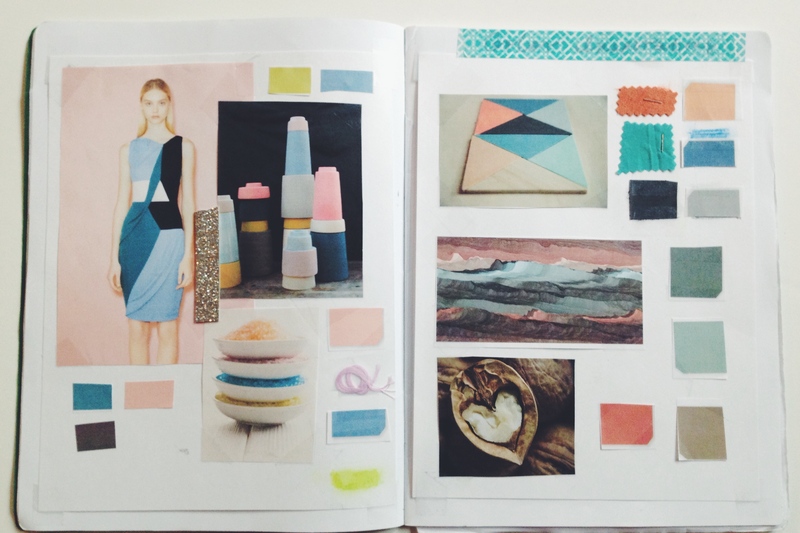 Once I had all my ideas and sketches completed, I started to think about colors and the collection’s palette. 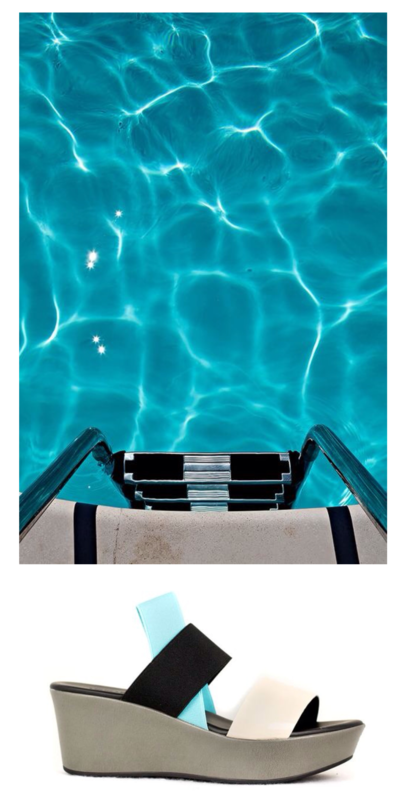 I created mood boards with images and swatches. I lived with those boards for a couple of weeks and played with the colors, and then narrowed it down to what I felt would be important for the spring season. A few weeks later, I was ready to put all of my ideas to work at a factory. So, I enlisted the help of our agent and friend in Italy, Cristina. Why Italy, you may ask? First and foremost, they are the best at making shoes hands down. Second, I wanted to work with a small factory that would be able to produce small quantities and manufacturing in other countries just isn’t an option for us. We hope to offer shoes that are beautiful and a good value, we believe Italy is the best place to achieve this. Since Cristina and I have worked with each other for years, I knew she would be able to help us find just the right resources. So in late October, I booked my flight and planned to leave armed with my sketches and mood boards for Florence. When I arrived I was anxious, nervous and excited all at the same time. The first night I could barely sleep. It was exhilarating to think that I was going to create something that hopefully would be special to our shop and our customers. I couldn’t wait to get started! 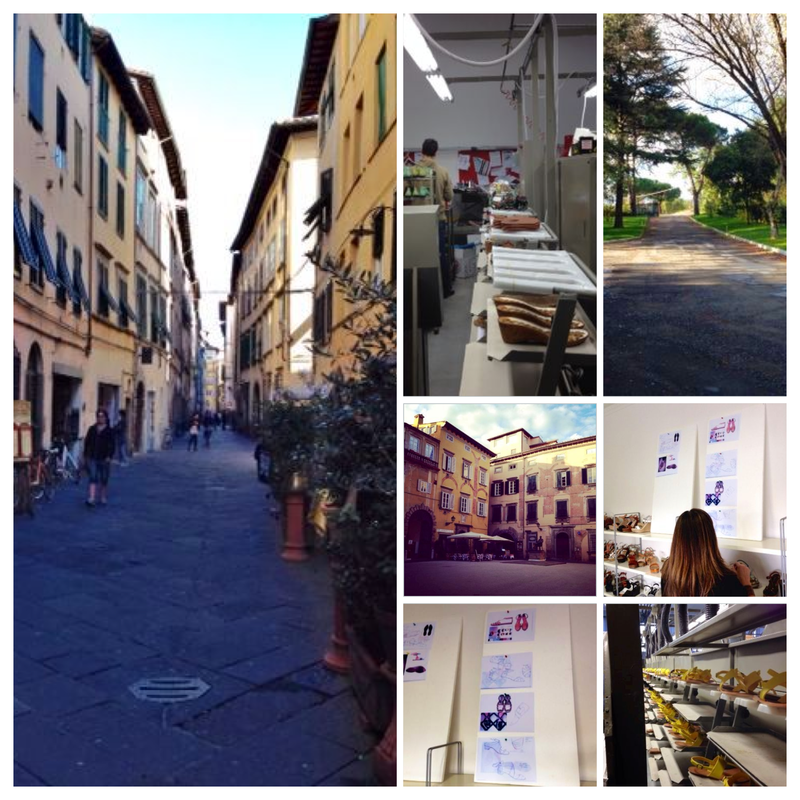 That week, Cristina would pick me up at my hotel every morning and we would make our drives to Lucca and visit the design studio, the suppliers, and the factories. We would sit for hours at a time collaborating with the modellistas to come up with the right constructions. We would know if all went well once we received our initial samples, which would take a couple of weeks to make. So, I left Italy crossing my fingers that all went well and then it was back to Seattle to await the samples. When we finally received the initial prototypes it was like opening a present! I could not wait to see how everything translated from a sketch to a 3 dimensional item. Some styles turned out great, others not so much. I refined some patterns and asked for some tweaks. Not everything always turns out the way you expect and that’s okay too. You learn to weed out what would be “nice to have”versus what you “must have”. What’s worth the time to re-visit and what should be “lascia perdere”, Italian for “forget about it”. So again, it was up to the manufacturers to get things right,. We were sent round two of confirmation samples to approve. We chose the styles, wrote the orders and all went into production. That’s pretty much it! So now we wait for the collection to come into the shop and online this March. We cannot wait to see what you think!